Can you think back to a time when you were sitting at a family dinner and someone from across the room began pestering you for slouching? Pretty annoying, hey! As irritating as it may have been, they weren’t wrong. The position in which we hold our bodies when sitting or standing is referred to as posture. Though many people don’t pay much attention to their posture throughout the day, and others don’t care, it is crucial to our overall health. Take a minute to think about your daily routines. The average Canadian will sleep roughly 7 hours, wake up to drive to work, complete an 8-hour work day, workout at the gym and then drive home to begin the cycle again. For everyone, the “in-between” hobbies and errands are different but let’s think about this simplistic “average” day to get a better understanding about why proper posture is so important and how it can lead to many common problems. -This posture used when resting requires theoretically minimal muscle activity. –The body requires co-ordination and interaction of various muscle groups, which are working statically to counteract gravity and other forces. – In this type of posture body segments are moving and are usually required to form an efficient basis for movement. Muscles and non-contractile structures have to work to adapt for changing circumstances. Placing our bodies in unnatural positions every day, for sometimes hours at a time, can have drastic effects on our health. You can recognize in each daily task mentioned above, the image characterizes a different posture, none of them ideal. Take a second to think about your own daily tasks and the postures that you maintain in those moments. For the man driving, he may not recognize that his hips and shoulders are shifted to one side as he leans on to the center console for support. Say he has an hour commute to work each day. For 2 hours daily he is positioned in this way. This could help explain why he feels left sided low back pain. 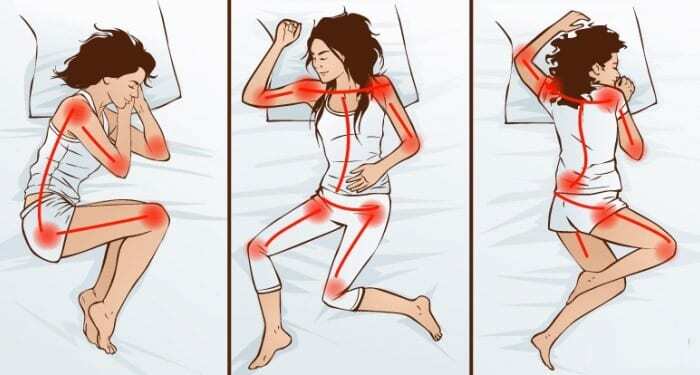 Further, the sleeping woman who experiences tightness in her hamstrings, causing daily knee pain. Well for roughly 8 hours in the night, her body is in the fetal position. The hamstrings become shortened and tight, when she stands up the hamstring muscles pull at the insertion point of the knee. This woman hasn’t done any over exertive exercises and has never experience a knee injury, but yet sleeping with an unnatural posture has given her this discomfort. The main message is that we all need to be more conscious of the positions that we place our bodies in throughout the day, especially for those completing desk positions in a seated posture for 8-hours a day. A rounded back puts an excessive amount of force on our spines and is a leading cause of low back pain. With the increased amount of people sitting on computers, playing video games and being connected to their cellphones, our necks and backs are taking more pressure loads than ever before. What does a poor posture lead to? An ideal posture produces the least amount of force on the joints and ligaments of the body. This helps to reduce strain and conserve energy. 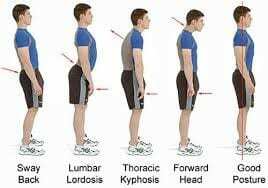 You’re probably pretty close to ideal posture when you can get your head, shoulders, spine, hips, knees and ankles to all line up well with one another. Research shows that the best way to determine if an individual has an ideal posture is by performing a posture assessment. Physiotherapists may use what is called a plumb line to detect whether your body alignment is comparable to the ideal standard. 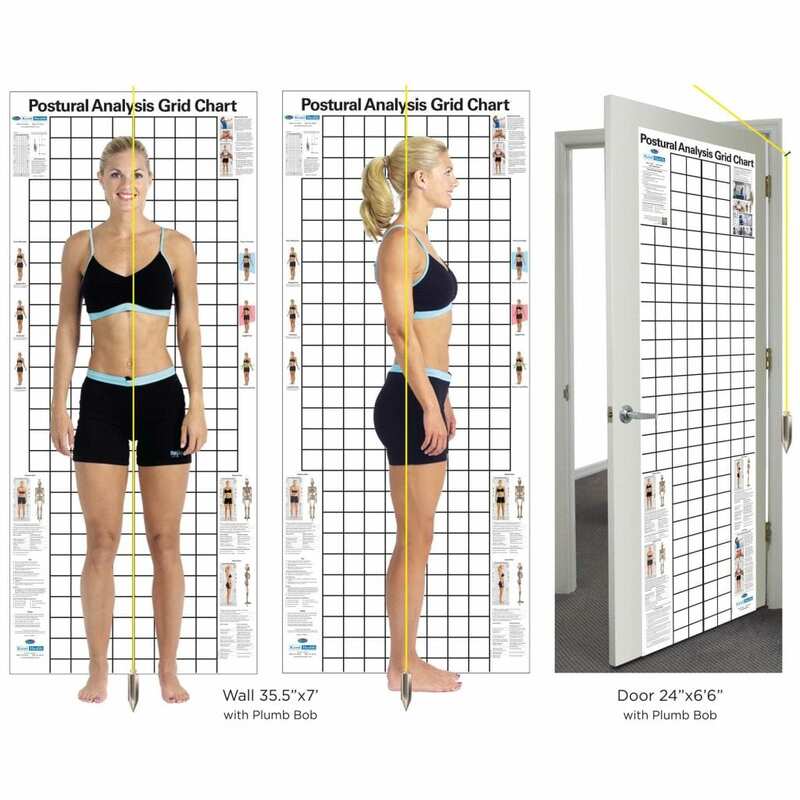 During this assessment you will stand beside the plumb line and the physiotherapist will evaluate the alignment of your ears, shoulders, spine, hip joint, knee joint, ankle joint and feet. If any of the parts don’t line up with the reference, this may signify misalignments in one or more areas. The good news is that poor posture can often be addressed by stretching, strengthening and developing good posture habits. To learn more about your own posture and ways that you can improve, book an appointment with one of our Physio’s at www.leducphysio.janeapp.com or call the front desk at (780) 980-5443.